The J. Paul Getty Museum is presenting a rare exhibition of three celebrated works by the great Italian painter Michelangelo Merisi da Caravaggio (1571 -1610) , on loan from the Galleria Borghese in Rome, home to the largest collection of Caravaggio’s paintings in the world. Caravaggio: Masterpieces from the Galleria Borghese will be on view at the Getty Center from November 2 1, 2017 through February 18, 2018. One of the most admired painters in history, Caravaggio developed a bold ly naturalistic style that employed striking theatrical compositions and emphasized the common humanity of his protagonists. His art was both widely celebrated and highly controversial among his contemporaries and remained influent ial for centuries afterward. The three paintings presented in the exhibition exemplify the crucial stages in Caravaggio’s short but intense career (he died at age 39). Boy with a Basket of Fruit, about 1593 - 94. Caravaggio (Italian, 1571 -1610). Oil on canvas. Ministero de Beni e delle Attività Culturali e del Turismo –Galleria Borghese. Boy with a Basket of Fruit (ca. 1593- 94) represents the beginning of the artist’s career when he moved from Lombardy to Rome and first attracted attention as a painter of realistic genre scenes and still lifes. Saint Jerome, about 1605 - 6. Caravaggio (Italian, 1571 - 1610). Oil on canvas. Ministero dei Beni e delle Attività Cultu rali e del Turismo – Galleria Borghese. Saint Jerome (ca. 1605) portrays the saint as a scholar reading and annotating sacred passages in the dramatically spotlight manner that Caravaggio made famous. David with the Head of Goliath, about 1609 - 1610. Caravaggio (Italian, 1571 -1610). Oil on canvas. Ministero dei Beni e delle Attività Culturalie del Turismo –Galleria Borghese. In David with the Head of Goliath (ca. 1610) , painted at the end of the artist’s career in his more somber and expressive later style, Caravaggio included his own features in Goliath’s head, purportedly in penance for his having committed a murder in May 1606. All three paintings were acquired by Cardinal Scipione Borghese, a nephew of Pope Paul V, who knew Caravaggio personally and was one of his primary patrons. With in its collection, the Galleria Borghese houses the most important and chronologically best preserved paintings by Caravaggio, an ideal collection to study the whole of his career. Indeed, the six works owned by the Museum, are from his early established paintings, reportedly dated to around the late 16th century and created in the Cavalier d’Arpino’s atelier – the Young Sick Bacchus and the Boy with a Basket of Fruit (1593 -1594) – to his latest works, David with the Head of Goliath and John the Baptist , created during his dramatic getaway, while waiting for Pope Paul V Borghese’s grace, which was unfortunately granted too late, in 1610, at the end of the artist’s endless wanderings between Naples, Sicily and Malta. From this outstanding collection, exceptionally preserved over the centuries, originates the idea of the Caravaggio Research Institute, which will see the creation of an international center of studies at Galleria Borghese, as an ideal and paradigmatic place for the study of Caravaggio's entire body of work. The aim of the Caravaggio Research Institute is to create the most complete database containing all data about Caravaggio through the creation of a digital platform so as to become an internationa l primary reference for humanistic and scientific studies on the artist. The database will include bibliographic, documentary, archival, philological, historiographical, iconographic information and updates, as well as a diagnostic documentation in digital form. The scientific validity of the database is assured by the high profile scientific committee, which include many outstanding professionals among Caravaggio’s scholars, with the intention to provide a valuable tool for specialists The Caravaggio Research Institute will start scientific partnerships with all the museums, art galleries, foundations, churches and private collections around the world hosting Caravaggio paintings, thus creating an extensive network of national and international partners. The project addresses amateurs, art historians, restorers, conservators, museum professionals, diagnosticians, historians, students, and, above all, aims at employing a relevant number of young researchers in the different steps of data collection and data analysis. Researchers will be able to access the database through different levels and personalized methods for consultation. Database queries will be accepted through a dedicated website providing different access levels: general, fully accessible data open to everybody; strictly specialist information reserved to scholars and technicians who submit a substantiated application to the museum; a third access level strictly reserved to the Caravaggio Research Institute operators and project partners. 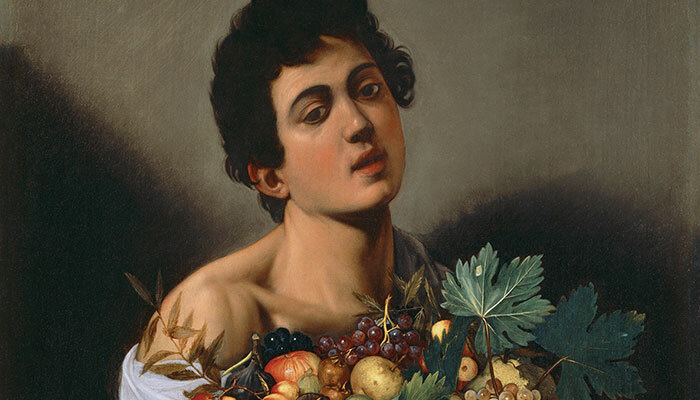 The Caravaggio database will therefore become the final repository of an inter -institutional undertaking: its digital format will intrinsically offer a synoptic, integrated understanding of data which might otherwise be less exact and complete, if they were acc essed with a linear consecutive approach failing to afford the requested combination of elements. When consulting the Caravaggio database for information, it should be possible to access, as rapidly as possible, the following data about a work of art : implementation techniques, date of execution, dimensions, origin, exhibitions it has been presented in, bibliography, conservative history card, images and written reports about diagnostic tests, and when the latest update of the data provided was carried out.